Are you planning to live in Russia? Do you need to use private transportations for your activities there? Then one of the most important things you have to concern about is driving license. Driving license is an official declaration that stated you are eligible to drive on roads. Every country has its own policy on driving license regulation. In Russia, the eligible age of car driving license is 18 and 16 for the motorcycle. 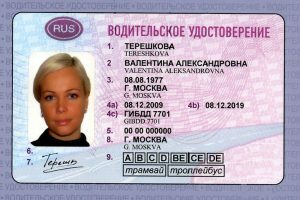 Actually, getting a driving license in Russia can’t be categorized as an easy process, but this article will answer your question on how to get a driving license in Russia for foreigners. Furthermore, it’s very recommendable to complete your license with the International Driving Permit (IDP). IDP is an international version from your own driving license that translates to 9 different languages. IDP can avoid any inconvenience you may get since it’s a permit approved by many countries, but it’s not a substitute for your valid driving license from your own country. You can apply for getting IDP on its website. Make sure you get this process done 3 months before you travel to Russia. You may provide some documents such as photos, a medical certificate, and an identity card/passport. For people who plan to live permanently in Russia, you need to get a Russian driving license. Russian government gives you 60 days to change your national driving license into Russian if you already have a residency permit or work visa. If you don’t have any driving license then you should get a new one with Russian standart procedure. The exemption is only applied to diplomatic or consular workers. The process and requirements really depend on what country you come from. Russia only recognizes driving licenses from countries that are the signatory to the Vienna Convention on Road Traffic. It’s an international treaty designed to facilitate international road traffic and to increase road safety by establishing standard traffic rules among the contracting parties. You can check the list of countries on the internet. The most notable countries that are not part of this convention are China and the U.S.A. If you come from the country that is the signatory to the Vienna Convention on Road Traffic, you need to prepare these following documents: an application form, your passport translated to Russian, a medical certificate that you can get from the standard exam in any Russian clinic, your national driving license, and examination fee receipt. You’ll get a theoretical test in the Russian language at State Road Traffic Safety Inspectorate or the electronic one, so you have to master the Russian language before taking the test. The process itself after you passing the standard score of the test, showing your documents, and paying the fee, is really quick. You can get your Russian driving license in the same day. You will be allowed to driive on Russian roads after that. How if you come from those countries that are not signatory to the Vienna Convention on Road Traffic? You have to get your Russian driving license like you’ve never made one. Before you can get the test, you have to sign up at a driving school like any other Russian citizens. There are many authorized driving schools you can choose. Choose the one that is suitable for your budget and schedule. Of course, you have to master the Russian language to ease your communication with the instructor. The lesson you must take consists classroom sessions and practice sessions (lesson behind the wheel). The course is usually last for 3-4 months or more if you take more classes with additional fee. After getting the certificate from the driving school you can take the exam from the police’s office in your area to apply for the test. The exam consists 2 stages: theory and practice. The theoretical test you’ll face is multiple-choice questions on the computer. The standard passing score is no more than 2 mistakes in 20 minutes given time. It’s very recommendable to practice before the test with example of questions you can find easily on the internet. The practical test consists of 2 stages: on driving course and on city roads. From 2016, this stage becomes stricter. There are at least 5 exercises you have to complete such as reverse entry into a garage or parking space, parallel parking, turn in confined spaces, turn 90 degrees, and drive through crossroads. You will always welcome to take the tests again if you fail. If you succeed on the first attempt, congratulations! You can drive in Russia with an official driving license. The driving license is provided in form of a plastic card. There is a brief explanation on how to get a driving license in Russia for foreigners. Make sure you practice your Russian language before applying on a Russian driving license. Mastering the Russian language will ease any obstacles you have to face including getting the driving license. Also make sure to prepare the budget for fees you have to pay for getting a Russian driving license.